ITACA is a trans-atlantic collaboration between eminent Italian and Canadian musicians in the field of avant-jazz and improvised music. Their music is dynamic, rhythmic and rich with improvisatory possibilities. This project came about after François Houle traveled to Italy to perform at the SILE Jazz Festival in 2016 at the invitation of its artistic director, Alessandro Fedrigo. This first meeting led to François assisting Alessandro and saxophonist Nicola Fazzini to perform in Canada in 2017. The two of them collaborated with drummer Nick Fraser at the Toronto Jazz Festival, and with François Houle at the Vancouver Jazz Festival. Strong from these meetings and well-received performances, these four musicians decided to join forces to form a unique international collaboration. Featuring new works composed especially for an Canadian tour in 2018, the group plans on recording soon after, and are at the planning stages of an extensive European tour in the fall of 2019. 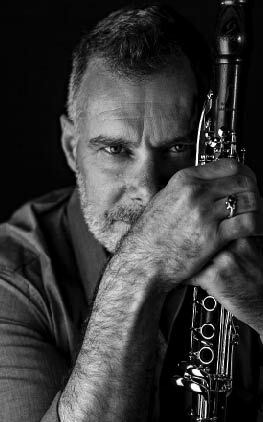 Clarinetist François Houle has established himself as one of today’s most inventive musicians, in all of the diverse musical spheres he embraces. Inspired by his collaborations with the world’s top musical innovators, François has developed a unique improvisational language, virtuosic and rich with sonic embellishment and technical extensions. He has worked with Dave Douglas, Mark Dresser, Joëlle Léandre, Benoît Delbecq, Evan Parker, Samuel Blaser, Gerry Hemingway, Marilyn Crispell, Myra Melford, René Lussier, Alexander Hawkins, and many of Canada’s top creative music artists. His extensive touring has led to solo appearances at major festivals around the world. A proliQic recording artist, he has released over thirty recordings as a leader. 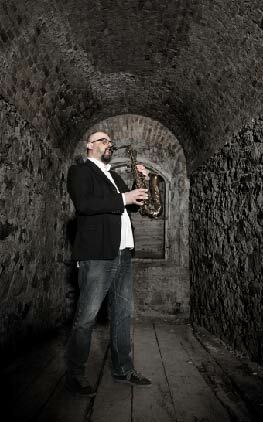 Nicola Fazzini is a Venetian saxophonist who has played and collaborated with Enrico Rava, Peter Erskine, Carla Bley and Mark Murphy. In recent years he has dedicated himself to the development of compositional techniques that feature a strong use of metric modulations and polyrhythms. From 2007 to 2014 he was director of the Thelonious Monk School in Mira (VE), one of the most prominent music educational centers in Italy. Since 2010 he has been the artistic director of the “JAM Jazz A Mira” festival, which gives space and attention to innovative musical projects of young Italian and foreign musicians. 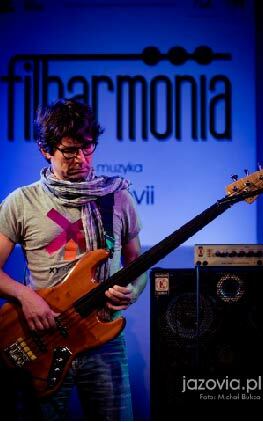 Alessandro Fedrigo is one of the few specialists in the fretless acoustic bass guitar. He often uses electronic effects in order to further manipulate the peculiar sound of his instrument. Born in Treviso, he trained through a long apprenticeship during which he practiced jazz, free improvisation, experimental music, and electronic music. He has collaborated, among others, with Tony Scott, Chris Hunter, Elliott Sharp and Robert Wyatt. He was named one of the 10 best Italian bassists for the ranking of the magazine JAZZiT and is the artistic director of the nusica.org record label. Since 2011, he has been the artistic director and curator of the Sile Jazz festival, which offers ‘site-speciQic’ concerts with Italian jazz musicians in the territory of the Marca Trevigiana. 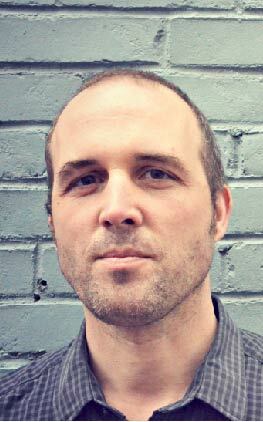 Nick Fraser (drums) has been an active and engaging presence in the Toronto new jazz and improvised music community for over twenty years. He has performed with a veritable “who’s who” of Canadian jazz and improvised music and with such international artists as Tony Malaby, Kris Davis, William Parker, Roscoe Mitchell, Marilyn Crispell, and Anthony Braxton. A JUNO award winner, he was also awarded a 2017 Chalmers Arts Fellowship. In addition to his own projects, he is a member of Peripheral Vision, Eucalyptus, Titanium Riot, Ugly Beauties, and the Lina Allemano Four..